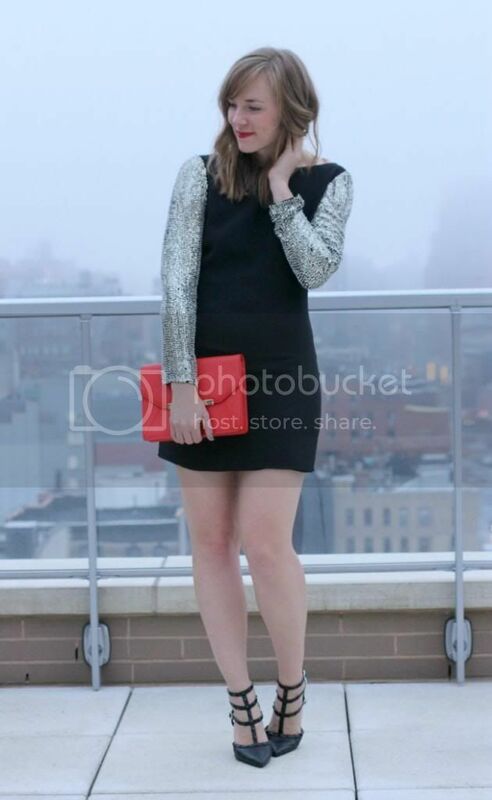 Ready for some holiday party attire inspiration? 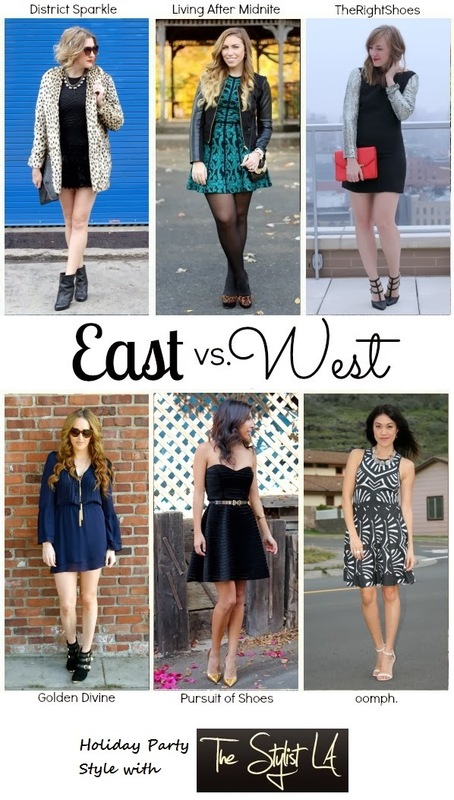 All the East v. West ladies are getting back together to give you some holiday style! This week we are working with The Stylist LA, a designer dress borrowing service. With super affordable dresses and great brands you'll be sure to find a dress perfect for you next special occasion. Check them out for some great options and check out everyone's full looks below! 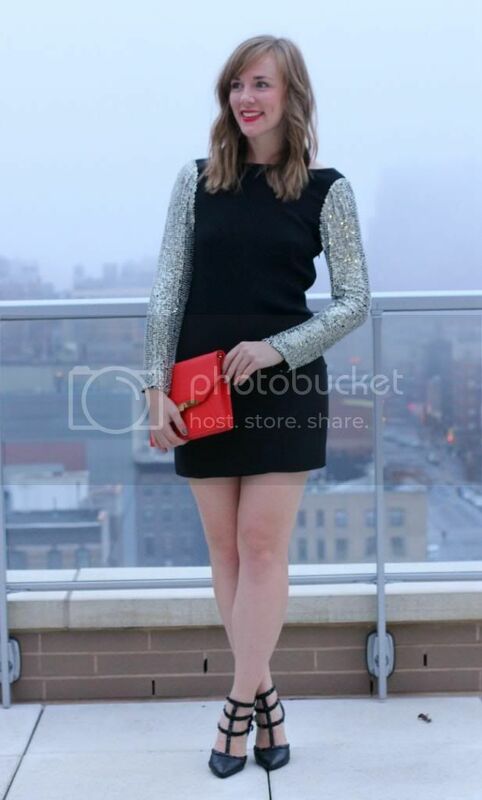 I am so in love with this dress - it's fairly simple but the jeweled sleeves make it perfect for a holiday party. With such a statement detail it's definitely best to keep accessories simple so you don't over do it. such a pretty dress, tracy! I don't recall seeing this one! I love the open back! btw...the weather behind you looks fierce...looks cold!! Your dress is amazing! I love the sleeves, I love the back. You look fabulous! Love this look. 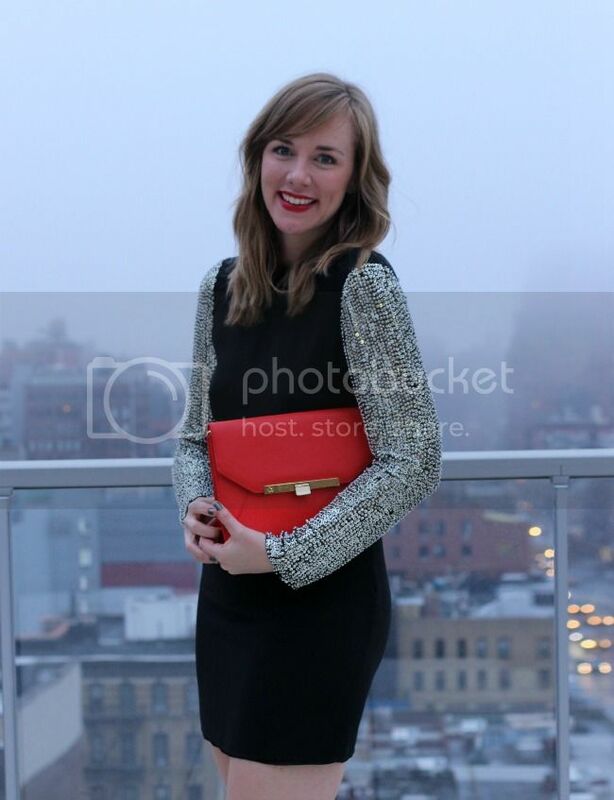 Especially the bright lip and clutch. Such a great dress on you. Love those Valentino shoes and the sleeves on that dress are ..to..die..for. LOVE the whole outfit! Is there a link directly for the shoes? I can't seem to find them. Thanks!